Frank joined Ian Bremmer to discuss today's polarized political environment and how the media fits in. Frank discussed the relationship between the White House and the media as guest host of CNN's Reliable Sources. Frank joined CNN's New Day to discuss the deluge of leaks coming from the White House, why it happens and what it means for the media. 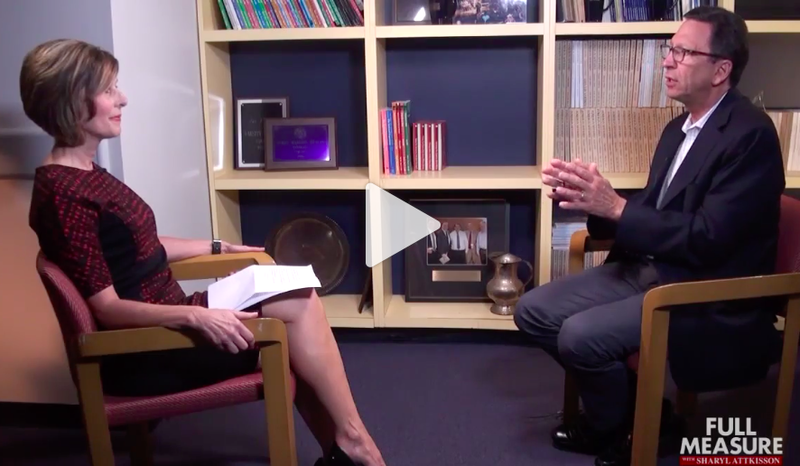 Watch Sharyl Attkisson interview Frank on Full Measure about key lessons from his book Ask More. They discussed the risks of bingeing on confrontation and why we need more empathetic questioning and better listening. Sean Spicer joined Frank for an interview about the early days of the Trump administration. The interview was followed by a panel discussion featuring leading Washington journalists. Nancy Pelosi sat down with Frank for a candid conversation about leadership, women in politics and the media's role in governance as part of the SMPA Conversation Series.